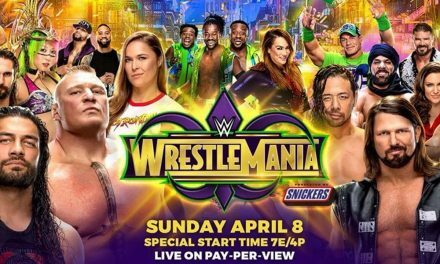 This year’s iteration—the first show this WrestleMania weekend to sell out—features some of the biggest names in pro wrestling together in a truly independent setting. You won’t find another card this year that features Kenny Omega, Kota Ibushi, Penta El Zero M, Joey Ryan and The Mexicos (the freakin’ MEXICOOLS). 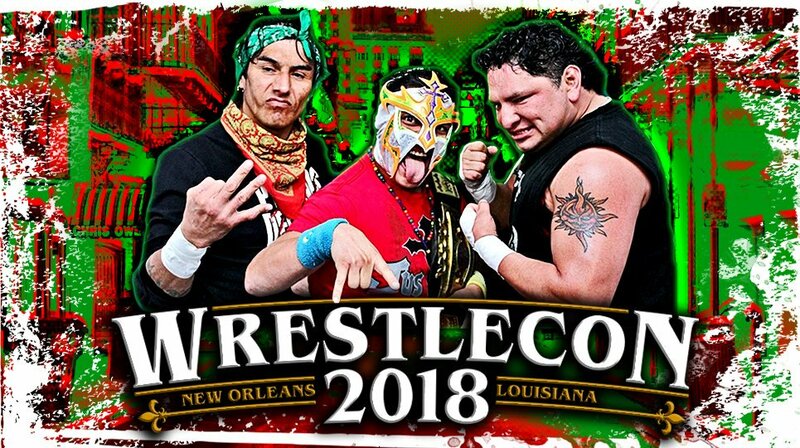 Not linked with any one promotion, WrestleCon can spread its wings a bit and present a truly unique experience unlike anyone else this weekend. Returning once again this year is the infamous WrestleCon 10-man tag. Not always the greatest technical match, the 10-man tag has often been newsworthy and this year should be no exception. We also know that Joey Ryan will be conducting a Andy Kaufman-esque “Women’s Challenge” what that entails? We can only guess. Elsewhere on the card, Joey Janela battles Penta El Zero M in a match that will surely test the boundaries of the Louisiana State Athletic Commission’s piledriver ban. In a battle of barrel chested brutes, Tomohiro Ishii faces Jeff Cobb. If things come together (unlike Cobb vs. Lashley at last year’s WrestleCon), this could be the match of the weekend. Last but certainly not least, Kenny Omega and Kota Ibushi (The Golden Lovers) take on Chuck Taylor and….. We don’t know. Taylor’s Best Friends tag partner Beretta recently took time off to heal up injuries and we haven’t yet found out who Taylor’s partner will be. With the wealth of names in and around the WrestleCon convention this year, the potential replacements are tantalizing. Also scheduled to appear on the show are the aforementioned Mexicools (Juventud Guerrera, Psicosis and Super Crazy), Fenix, Flamita, Tenille Dashwood and Flip Gordon. It was also announced last week that moving forward the WrestleCon Supershow will be known as the Mark Hitchcock Memorial Supershow. Hitchcock was a member of the WrestleCon team that tragically passed away earlier in the year while on his honeymoon.